The heart of La Latina, the Cava Baja Street, with bars for every door step, is maybe the very first place that comes to mind when you think of Tapas in Madrid: it is unique in Europe, and its atmosphere is so Spanish and summarizes what Madrid is about. The most Castizo neighbourhood of Madrid – castizo meaning traditional Madrid. Typical old Madrid buildings, a vivid neighbourhood life, coupled with the most famous street for tapas. La Latina starts is the southwest part of Madrid city center, south of the ancient neighbourhood of Opera and the cathedral, west of the diverse neighbourhood of Lavapies. And I guess La Latina is a good mix of both: tradition and diversity, with the tapas and fiestas to make the mix work. Have a look at this interactive map of best places to live in Madrid to get a better idea of where the Latina is. This most famous street for tapas in Madrid is the Cava Baja street (see photo on the left). It has the highest number of bars per square meter of all Madrid, and is a typical meeting place for Spaniards and expats alike. You just have to choose carefully the street and flat you will live in, because you do not want to sleep just above a hot party spot. The best way is to pass by the property street at night on a Thursday, Friday or Saturday, and ask neighbours. Madrid people are usually quite happy to talk about their neighbourhood in a direct and honest way, so do use a bit of Spanish and ask them! 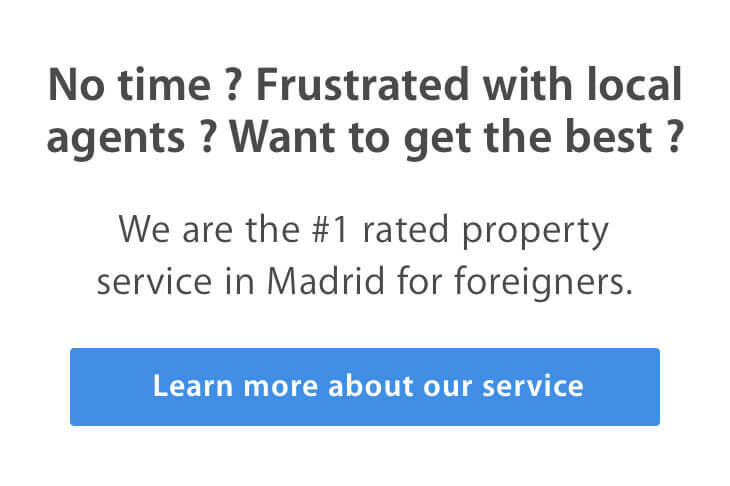 The good thing with La Latina is that it’s right in the center of Madrid, in a really authentic neighbourhood, but you can still find quite cheap rentals south of La Latina. This south part of La Latina has one of the best price to quality ratio of Madrid. For instance, this flat is a good example of a modern flat in la Latina where you can enjoy the Madrid way of life without the inconvenient of the noise and for a reasonable price tag.